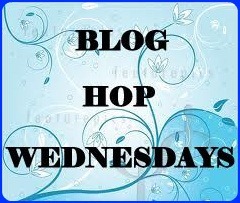 Actually this recipe should be posted for Blog Hop Wednesday - Week 5. But last week i don't have my computer so i am not able to post it in time. I am sorry for that and i request Radhika and Vatsala to spare my absence. And i want to post my previous week's recipe along with this week schedule. But i want both to be a separate post. Boil the potatoes but not too soft n mushy..just par boil them. Cut them in to two halves and on both the haves cut at one side to sit properly and can't roll. And then scoop the potatoes carefully using spoon or ice cream scoops. Heat oil in a vessel, add cumin seeds and green chilli wait till splutter. Then add finely chopped onions and saute till turns translucent. Now add ginger garlic paste, and saute till raw smell leaves. After that add tomato paste and cook till all the moisture absorbs and saute well till oil shows on top. then add the dry powders and stir fry for a minute. and add 1/2 - 3/4 cup of water, enough salt and bring the mixture to boil for 10 minutes. Then arrange the stuffed aloo/potatoes in a oven safe bowl, and pout the boiled curry mixture over the stuffed aloo. Preheat oven to 350 defree Fahrenheit. and keep the stuffed aloo curry on the oven for 15 minutes and sthen remove from the oven and add some finely chopped cilantro. Enjoy the delicious Stuffed aloo curry with any indian rotis or any pulav. This looks and sounds like an excellent recipe for a special dinner. Very innovative da. Love the curry. Delicious stuffed aloo recipe.. Looks real Yummmy gravy , dear!!! Somehow I missed it yesterday .. Perfect side dish for a get together!